Second post of the day! I have a couple of new Chaos and Crocodiles polishes to share with you guys. These two will be available this Saturday's (May 17th) during a restock in Chaos and Crocodiles' shop. 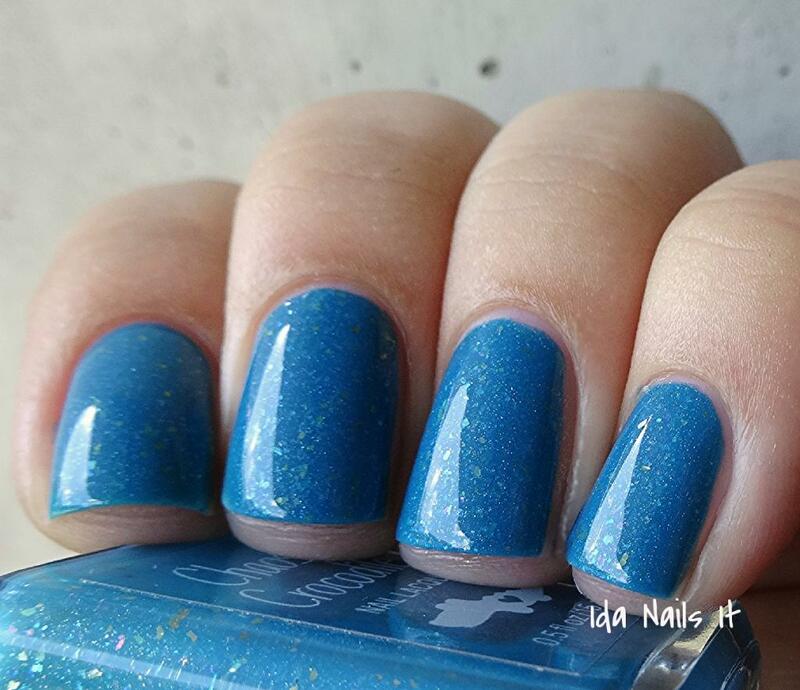 There is also a third polish, an awesome glitter called Lollipops and Baby Hippos, that will be released as well, check out Chaos and Crocodiles' Facebook page for photos and specific restock time. Teal jelly/creme base with gold and rainbow flakes, rainbow shimmer and a touch of holo pigment. Lovely as can be! The holo pigment is just enough to give it a extra sparkle and I love the flakes against that creamy teal base. Dark magenta creme base with gold shimmer and a touch of pink & blue micro-shimmer. This polish.....it's so gosh darn pretty, I can't even take it. 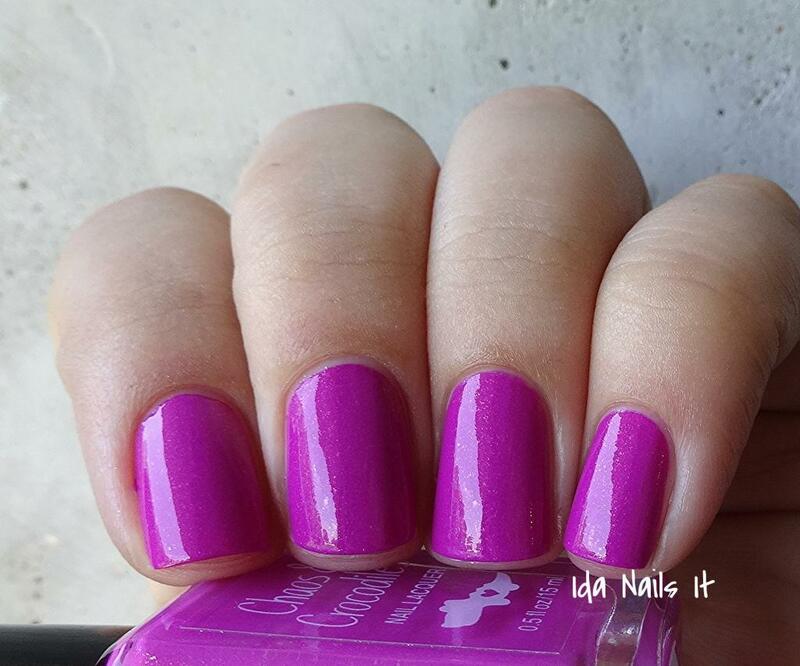 The coloring of this is more a darker pink but it's very saturated and the shimmer is outstanding. 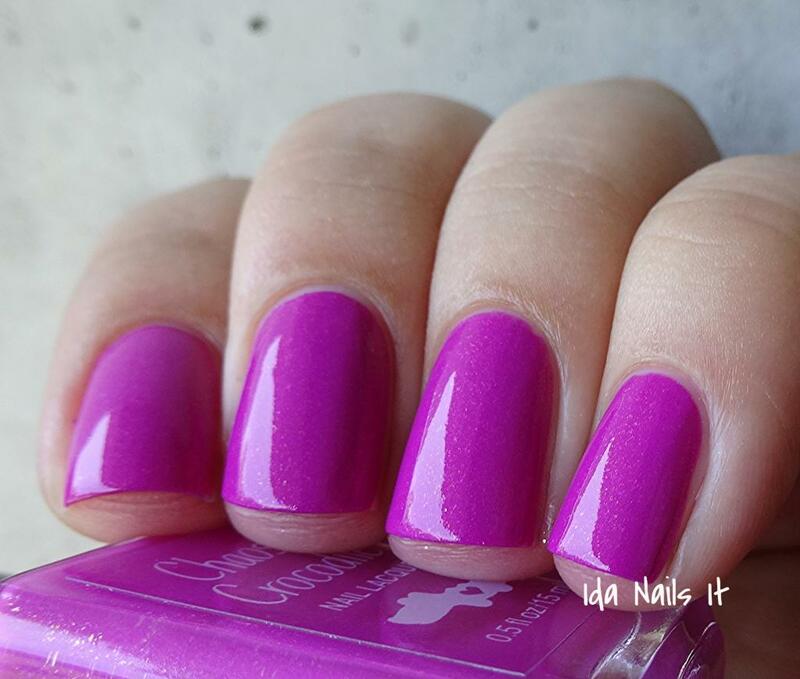 Just yesterday, I was saying that there are only a few makers who can make me like pink polish. Chaos and Crocs is most definitely one of those makers. And honestly, just calling it a pink polish doesn't seem to do it justice. 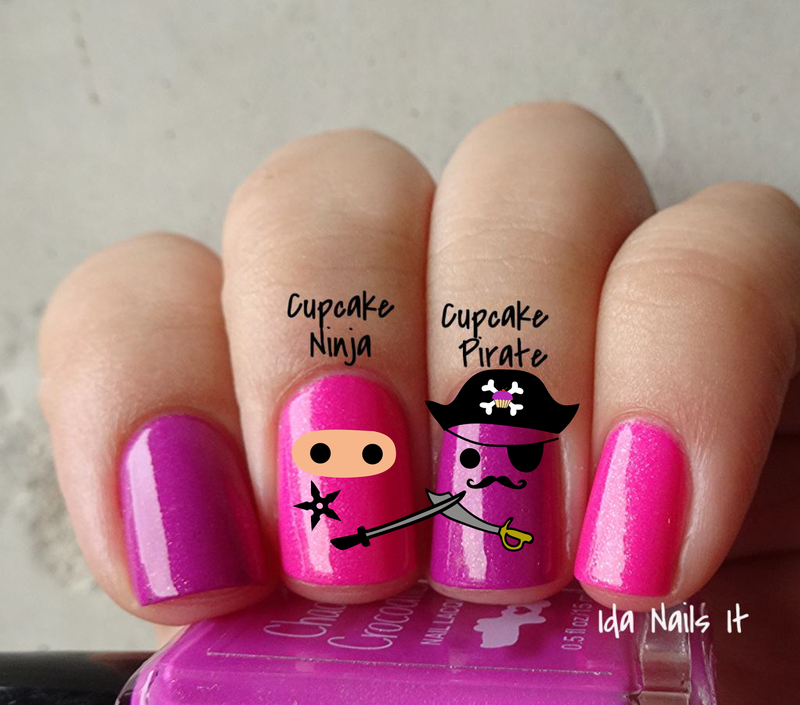 Comparison between Cupcake Ninja and Cupcake Pirate. I had both of these Chaos and Crocs polishes and thought that some people would like to see them side by side to compare. 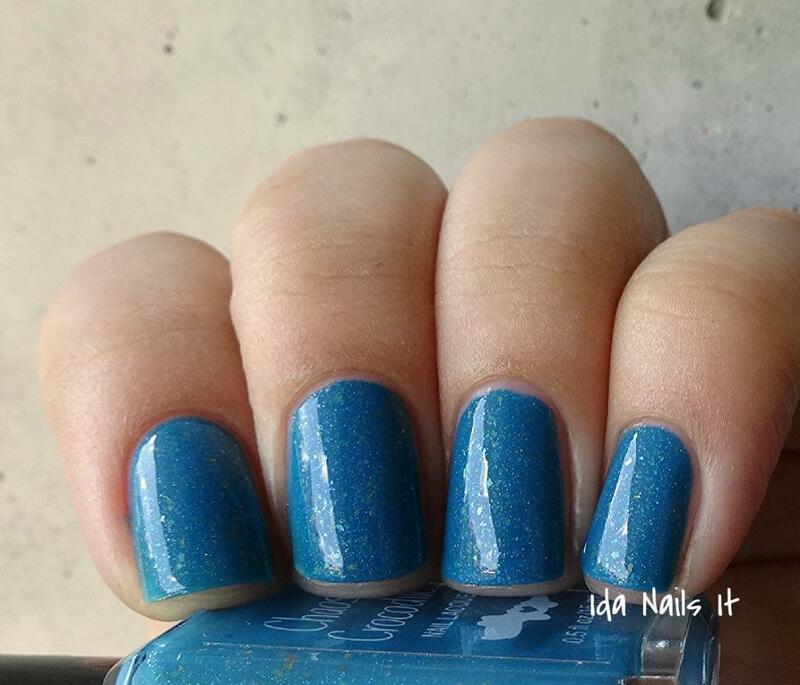 As you can see, similar coloring and finish but they are clearly two different polishes. 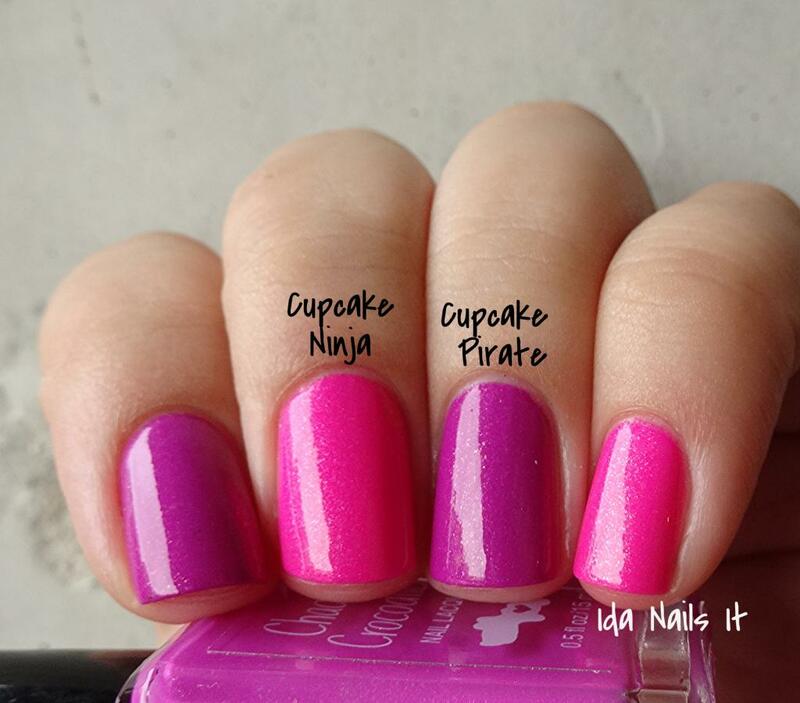 Cupcake Ninja is much brighter and it's shimmer is silver/pink and cooler in tone than Cupcake Pirate's golden shimmer. Both must owns! BATTLE TO END ALL BATTLES. lolololol, not really but Sarey from C&C made this doodle and I was like, YES, this is going in my blog post. In my mind, this is not a epic battle but a friendly play fight between buddies. Or is it......? Chaos & Crocodiles can be purchased in her Big Cartel shop, as well as through Mei Mei's Signatures and Norway Nails. 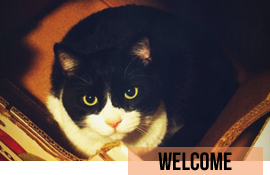 Updates can be found on her Facebook page, Blog, Instagram, and Twitter. OMG Ida, your ninja and pirate are SO STINKIN' CUTE!!! <3 I've only managed to get C&Cs once - they go so fast! Great shades! The pirate and ninja is too cute! Gorgeous! Chaos & Crocodiles is such a fantastic indie brand. The Ninja, the Pirate; you just made me laugh and smile for the rest of the day!